At the end of the Civil War, counterintelligence fell by the wayside as the Federal Government focused on the reconstruction of the South. The only practitioners of the discipline were the private detective agencies which, before the American entry into World War I, did a booming business from an increase in demand for strikebreakers and labor spies. By 1917 there were nearly three hundred detective agencies across the country investigating labor activity. The Pinkerton Detective Agency's unsavory history in industrial labor quarrels led Congress in 1893 to proscribe the hiring of private detectives by any Federal agency. In World War I, however, the demand for professional operatives was so great and the private detective companies so available that Military Intelligence deliberately violated the law. short-lived Spanish-American War came along, it was the Secret Service and not the newly established War Department's Military Intelligence (MI) or Navy's Office of Naval Intelligence (ONI) which received money from Congress for increased counterintelligence activities. The Service investigated spy leads from MI, ONI, and also from the Post Office, the Justice Department and from U.S. Senators. They also conducted an operation to break up a spy system operated by the Spanish Government in Canada. Until 1908, when the practice was prohibited by law, Secret Service agents were engaged in special investigations for other departments. They were not permitted to resume this practice until World War I, when the President was authorized to direct the use of the Service wherever necessary. Agents then conducted investigations for alleged pro-German sympathizers and spies in 1918-19 and suspected infractions by firms and individuals of laws, regulations, and orders governing exports during the war. The Mexican revolution and counterrevolutions of 1914 posed exceptional problems for American counterintelligence. The buying and transporting of weapons from the border states into Mexico, Mexican intelligence operating in the states, and German schemes to use Mexico against the United States during World War I, were some of the threats facing the meager counterintelligence resources of the U.S. Government. The most famous activity to occur in the border region was Poncho Villa's raid on the small New Mexico town of Columbus, where several soldiers and civilians were killed. Furious over this brazen violation of American sovereignty, President Wilson ordered General John Pershing to pursue Villa. 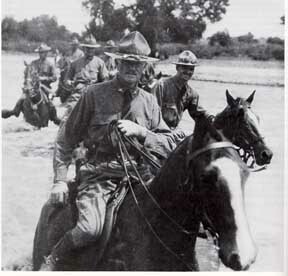 Pershing's efforts became known as the Punitive Expedition. During this expedition, human intelligence (HUMINT) and signals intelligence (SIGINT) took on new proportions. Although an embryo intelligence staff had been organized in 1903 as part of the General Staff of the Army, it was up to Pershing to organize his own field intelligence network. He started an "Information Department" which employed a network of agents who reportedly penetrated Villa's camp. 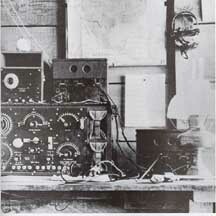 He also intercepted and deciphered Mexican communications. "By tapping the various telegraph and telephone wires and picking up wireless messages," according to Pershing, "we were able to get practically all the information passing between various leaders in Mexico." When World War I began, no single federal agency had any substantial investigative capability, and the modern concept of a counterintelligence community did not exist. The counterintelligence efforts of the Secret Service, the Bureau of Investigation (later Federal Bureau of Investigation), and War Department's Military Intelligence and Navy's Office of Naval Intelligence were insignificant and not coordinated. In fact, these agencies were totally unprepared to deal with the disingenuous espionage and sabotage ring organized in the United States by German Ambassador Johann von Bernstorff. During the war these agencies expanded and new federal offices emerged, many with intelligence departments. In this atmosphere, interagency competition became particularly acrimonious, first between the Department of Justice and the Secret Service, and later between Justice and Military Intelligence. This situation was noted by the Secretary of State who offered his department as the "clearinghouse" of information obtained from each of these agencies. 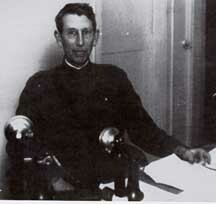 However, an agreement concluded in 1918 shared the counterintelligence mission between Justice, State, Army and Navy. During the period immediately following our Civil War, the United States Navy found itself in a state of disarray and woefully incapable of protecting the nation. Along with ships and men, the ravages of conflict destroyed naval strength and readiness, leaving few seaworthy ships when peace finally arrived. Yet fueled by the indomitable American spirit and spurred with challenge, there arose a class of naval officer who recognized the need for rebuilding a United States Navy that had come to be ignored in the postwar period by government and citizen alike. The change that came was wholly owed to a recognition amongst the officer class that emerging technological and educational advances had to be adopted if the service was ever to fulfill its duty to the nation. It was precisely during this time and for those reasons that our nation's first organized agency devoted entirely to intelligence collection and associated activities was founded. Years before, the U.S. Navy had come to recognize the importance of capitalizing on intelligence to counter enemy plans and movements during both the Revolutionary War and the War of 1812; however, those efforts were best characterized as disorganized and fragmented to such a degree as to be ineffectual. On 23 March 1892, the Office of Naval Intelligence (ONI) was created with the signing of General Order 292 by William H. Hunt, Secretary of the Navy, and became the first U.S. Government agency devoted solely to the systematic collection of information regarding foreign military affairs. ONI quickly gained an enviable reputation and for three decades was considered by U.S. government officials to be the most authoritative and reliable source of information regarding foreign military affairs. Even so, a great deal of information collected by this organization, especially that dealing with European shipbuilding advances and associated industrial improvements, would never be put to substantive use. An "Office of Intelligence" is hereby established in the Bureau of Navigation for the purpose of collecting and recording such information as may be useful to the Department in time of war, as well as peace. To facilitate this work, the Department of Library will be combined with the "Office of Intelligence" and placed under the direction of the Chief of the Bureau of Navigation. Commanding and all other Officers are directed to avail themselves of all opportunities which may arise to collect and forward to the "Office of Intelligence" professional matters likely to serve the object in view. During its early days, ONI was officially tasked by the Department of the Navy to collect specifically categorized information deemed essential to the U.S. defense. To fulfill this duty, the Secretary of the Navy mandated that naval officers who could objectively and skillfully collect and report matters of interest to the Navy be chosen for service with ONI in Washington, D.C., posted to any one of several naval attach� positions at U.S. foreign legations, or appointed as special aides to senior military personnel posted abroad. Generally all would restrict their collection to information that was publicly available and could be acquired through overt means like open source publications, from foreign officers with whom the naval attach� or aide might associate and through contacts with knowledgeable political or industrial figures. Initially, the military and naval attach� system formally established by passage of Congressional Law on 22 September 1888, allowed for the posting that following year of five officers to Berlin, Paris, London, Vienna and St. Petersburg. Within five years this rudimentary intelligence network expanded modestly and attach� personnel came to be posted in Rome, Brussels, Madrid, Tokyo and Mexico City. For years, the number of naval officers assigned such duties remained limited and at a fixed level or, in some cases, attaches would only be posted to a foreign nation in times of international tension or strife. It became the primary responsibility of naval attaches to visit naval bases, shipyards, industrial sites and any other commercial or government facilities associated with building, supporting or directing foreign commercial and military maritime efforts. Though officially instructed to perform their duty in an open manner, our former attaches sometimes found it necessary to employ covert measures and the use of "secret agents" to gather information that would be unavailable by any other means. Initially, ONI was more concerned with collecting information regarding the characteristics and weaponry of foreign vessels than with tactics, movements, dispositions or the intentions of those navies. However, by 1915, when it became one of nine subdivisions organized into the Office of the Chief of Naval Operations, ONI would assume responsibility given it by the Navy "General plan" to develop and gather all manner of information on the Navy's possible adversaries. The plan allowed for certain collection to be done by covert means and by 1916 the first undercover operation, termed Branch Office, had commenced activity in New York City under the control of ONI. Staffed by naval reservists on active duty or civilian volunteers working without pay, the Branch Office garnered some impressive successes in the field of counterespionage while protecting U.S. persons and properties from subversion and sabotage in the wake of growing world conflict. Simultaneous to these endeavors, a separate organization called the Aides for Information was developing and employing personnel who were locally assigned to the staffs of fifteen Naval District Commandants. Individuals affiliated with this effort routinely searched passengers on incoming vessels, provided security at docks, warehouses and factories, investigated subversive activity and executed other necessary duties during this extraordinary period to protect the Navy and country from possible foreign inspired subversion. With Branch Offices centrally controlled from Washington, while aides were supervised by their respective districts it was inevitable that confusion, conflict and duplication arose to such an extent that all investigative activities came to be consolidated under the District Aides. the U.S. Navy or national security. Often working on tips provided by a variety of government agencies or patriotic organizations or on information acquired from private citizens swept up by the furor of the time, ONI pursued and worked tirelessly against all those suspected of subversive activity. ONI operations became quite skilled at a variety of investigative techniques like surveillance and wiretapping and at one point it was actively involved in some 15,000 subversive investigations each week. The identification and neutralization of subversive elements became especially important to ONI after being assigned responsibility for protecting those war plants executing U.S. Navy contracts. ONI field agents routinely checked those plants for physical security, indications of labor unrest that would affect production, loyalty of factory workers and managers and the identification and elimination of anyone who could pose a threat to that company's vital work for the U.S. Navy. There is no question that ONI did materially contribute to our nation's security and war-making capacity during this trying time although there was a certain amount of attendant frustration. In its enthusiasm to seek out individuals posing a possible threat to national security, ONI could be blame for periodically engaging in "witch hunts" or using questionable methods that would later be judged an affront to justice. Intolerance for different tactics or the needs of other government agencies led ONI into repeated conflicts with Army Intelligence and the U.S. Justice Department. Eventually, Rear Admiral Leigh V. Palmer, Chief of the Bureau of Navigation was forced to comment in August 1918, "...ONI might be pursuing suspects a bit too enthusiastically." The Director of ONI at that time was further warned, apparently in the interest of fairness, "
During the First World War, ONI assigned four times the personnel and resources to domestic security work, as it did on foreign collection, after deciding that protecting the home front was its most important mission. Yet in all fairness, it should be recalled that ONI traditionally considered its primary responsibility to be the collection, evaluation and dissemination of foreign intelligence that was of interest to the U.S. Navy. With our nation's declaration of war and involvement in armed hostilities, ONI was quickly forced to adopt many new responsibilities, like domestic security, without the luxury of extensive planning or very much forethought. Considering the seriousness of the time and overall circumstances, it is not entirely surprising that ONI would be chastised for being a bit too over zealous as it attempted to executive its duties in what was thought to be the most effective manner. As had traditionally been the case, the bulk of all foreign intelligence collection continued to be performed by those naval attaches posted to U.S. diplomatic establishments in foreign countries. During the war years, naval attaches were forced to rely on the use of agent networks to insure the development of necessary and ever-increasing amounts of information. Emphasis was placed on the development of covert capabilities and the establishment of a global spy network that enlisted a string of agents throughout Latin American and the Far East. Some of these networks proved to be quite effective and lent themselves to the development of valuable information while others suffered poor organization and management, producing little other than scant or erroneous information that had disastrous effects at times. The end of World War I brought a general demobilization and the country's desire to rapidly return to normalcy. With the Armistice signed and our country at peace, few could give reason to the need for maintaining other than a modest military. Though not completely expendable, ONI with a war machine to support, came to be ignored in large part by the Department of the Navy which cut funding for personnel or operations and pared the organization back in all aspects to its barest minimum. Several years would elapse until 1926 when a limited effort was undertaken to establish groups of volunteer reserve intelligence officers whose goal became the gathering of information on individuals and activities that could pose a threat to U.S. naval security. The intent was to create a cadre of personnel who could be called upon to render service in time of national emergency and by the beginning of 1927, some such groups had been created and started to operate in a manner that would be refined during the ensuing several years. Yet the mood of our nation was slow to change and it remained the strongest wish of many citizens that we continue to isolate ourselves from problems and entangling involvement with other nations. Naturally, few could see the need to collect foreign intelligence and during these years such assignments continued to be regarded as especially undesirable by the regular Army and Navy officers given such responsibilities. 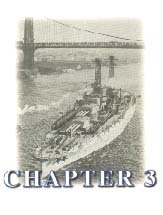 Though ONI by 1934 remained a small and neglected organization with only twenty-four officers and a clerical staff of eighteen, attitudes were slowly beginning to change in certain quarters of government where it was considered necessary to begin collecting more earnestly, information relating to the naval strength, war making capabilities and national intentions of certain foreign powers. The chief source of this information continued to be the naval attach� system which had generally proven itself to be competent and capable in the past. Additionally, a certain amount of data was collected by persons assigned to intelligence staffs of each Naval District although their contribution was quite often weakened by routinely being assigned too many diverse or non-intelligence activities. When the national ambitions of the Axis Powers finally brought Europe and the Far East to war, President Roosevelt mandated in June 1939, that ONI be responsible for the investigation of sabotage, espionage and subversive activities that pose any kind of threat to the Navy. By the fall of 1940, a selective call-up of intelligence reservists for investigative and counterintelligence duties began, and following our entry into World War II, the Navy's investigative arm was manned almost entirely by reserve officer personnel. For some time before the spring of 1914, events along the southern border of the United States had plainly foreshadowed an unfavorable turn in American relations with Mexico. President William H. Taft, therefore, on 21 February 1913, directed the movement of an Army division to the Galveston-Texas City area in order to be prepared to meet any eventuality. Because the War Department General Staff had already gained considerable experience from the similar but poorly planned and executed venture of some two years earlier, this troop concentration was accomplished in a comparatively smooth manner. The anticipated crisis, though, came to an unexpected head on the Gulf Coast rater than along the border, with the Mexican authorities at Tampico seizing a United States navy launch and holding its crews and passengers as prisoners. While these personnel were soon released, apologies and amends in strict compliance with the demands of the commander of the Atlantic Squadron were not forthcoming, so the entire Atlantic Fleet was moved into a position of readiness off Vera Cruz. A small naval force was also put ashore within that city to prevent the landing of an arms shipment destined for Mexican Army use. Military skirmishes promptly occurred and there was consequent loss of life on both sides. Thoroughly aroused by these provocative developments, Congress jointly resolved, effective 22 April 1914, that the President was fully justified in utilizing the armed forces of the United States to support the enforcement of his demands for redress against the Mexican Government. 6 Due principally to prior staff planning by the Joint (Army-Navy) Board, a reinforced brigade of Army troops under the command of Brig. 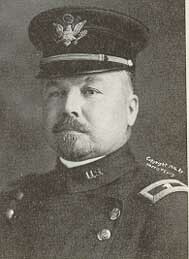 General Frederick Funston was then successfully transported from several different American ports to disembark without major incident at Vera Cruz on 26 April 1914. This force proceeded to remain in Mexico until November of that same year. Even though these significant military operations were taking place far to the south, the unsatisfactory military intelligence situation in Washington showed little real improvement. Only one bright spot had appeared on the horizon, with General Wood approving an order which stated that all units operating along the Mexican border would detail carefully selected officers to act, in addition to their other duties, as intelligence officers for collecting "such information as is possible from refugees and other sources, without leaving the limits of the United States." 7 The main obstacle continuing to stand in the way of any fruitful results from a program of this nature, however, was the fact that the War Department still lacked a staff agency capable of properly processing information derived therefrom. Besides, the officers involved could hardly be expected to put forth much of an effort as long as they were being called upon to perform their intelligence tasks in addition to their normal troop duties. An event of enormous future portent from the military intelligence standpoint occurred on 18 July 1914, when Congress authorized the formation of an Aviation Section within the Army Signal Corps. 8 While airplanes had previously been utilized on an experimental basis for reconnaissance during maneuvers near New York City in 1912 and an aviation school was already functioning at College Park, Maryland, this legislative enactment served measurably to stimulate further air development throughout the United States Army. 9 It would thus not be long before the eyes of military commanders could be extended over undreamed of distances in seeking information about the enemy and terrain but this same improved capability would also generate a number of complex problems dealing with command, communications and logistics, so as to alter completely the entire existing military intelligence system. When World War I suddenly broke out in Europe during the summer of 1914, the War Department found itself right in the midst of a determined campaign, launched earlier by General Wood himself, to reduce the number of Army officers serving on detached service. 14 This drive had been occasioned mainly by a severe shortage of officers that kept reappearing whenever important maneuvers were planned, since there was no adequate provision in the existing tables of organization to compensate for an ever-growing number of officer positions requiring duty away from troops. It carried very serious implications from the standpoint of military intelligence operations because all the military attaches and observers, as well as the officers attending foreign schools, came under this detached service classification. Even as late as February 1914, the Chief of the War College Division had forwarded to his superiors a most amazing official opinion to the effect that he considered American military attaches unnecessary in Spain, Italy, Austria and Belgium; Switzerland warranted a retired officer only; Russian remained doubtful; and the Balkan States and Turkey were merely of temporary importance. Force and Belgian Intelligence questions a suspected enemy agent. By November 1914, therefore, in addition to the thirteen military attache posts already established, which now included Austria, France, Germany, Great Britain, Italy, Japan, and Russia, American military observer groups were found to be operating with the combatant forces of France, Germany, Austria and Japanese. 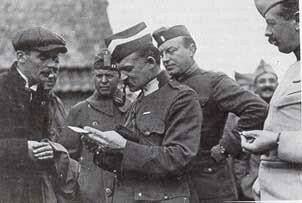 Two American military observers were also accepted by the Rumania Army early in 1916. With this expanded military observer program resulting in a sizeable expenditure of extremely scarce War Department funds, Congress was soon persuaded to increase by $15,000 the appropriation under "Contingencies, Military Information Section, General Staff" for that particular purpose during FY 1916. Rodolfo Fierro, AKA the "Butcher." exceedingly difficult military task, especially in view of the fact that General Pershing's orders not only called for him to proceed against Villa and his followers but also directed him to pay scrupulous regard at all times to Mexican sovereignty. 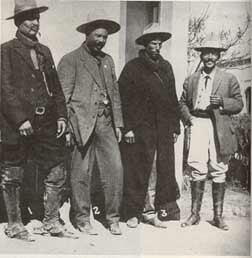 22 The latter proviso became increasingly embarrassing after military contacts were developed with Mexican Federal troops following a relatively large scale skirmish with Villistas on 29 March 1916, near Guerrero, some 250 miles south of the border. From then on, clashes between the two regular forces stemmed chiefly from a growing hostile attitude taken by the Carranza government toward the continued presence of American troops in Mexican territory. The Punitive Expedition was finally withdrawn, effective 5 February 1917, with Poncho Villa still remaining at large but his military capabilities having been effectively curtailed. Signal Corps on the Mexican Border in 1918. The dangerous state of affairs, relative to the manner in which the War Department was failing to fulfill its military intelligence responsibilities, during this period of ever-worsening international relations, was not permitted to go unchallenged by the few experienced intelligence officers remaining assigned to the War College Division. it was established in World War I. 1. Department commanders will establish and maintain an intelligence office at their headquarters to operate under the personal supervision of the Department chief of staff. 2. This will also arrange for the detail of intelligence officers at such posts and field detachments of their subordinate commands as is deemed necessary by the circumstances. 3. Each Department intelligence, insofar as its intelligence duties are concerned, will be considered a branch of the War College Division. 4. The Department chief of staff is authorized direct communication in intelligence matters with the War College Division but all military information will first be brought to the attention of the Department commander before being forward thereto. 5. The duties of the intelligence officers will consist generally of collecting and preparing military information for use by the headquarters to which they are attached but, in addition, they should keep the superior headquarters properly informed. 6. Department intelligence officers will set up a complete file and index of all maps, reports, communications, and other intelligence data in accordance with subsequent instructions to be issued from the Office of the War Department Chief of Staff. Moreover, all intelligence items will be regarded as confidential until released by authority of the Chief of Staff. This general order did initiate several progressive steps in the direction of improving intelligence collection practices for the United States Army but it also represented a distinct compromise with reference to the key question of what direct command authority, if any, the departmental military intelligence agency should exercise over intelligence personnel operating in the field. Even though it included a statement that the department intelligence offices would function as "branches" of the War College Division, the strict application of this particular provision of the original statement remained clear, however, with the intelligence officials in Washington recalling the completely dependent status of the previous Havana and Manila Branch Offices, and wanting to form an Army-wide military intelligence system along parallel lines. With these Congressional discussions still in pro-gress, Garrison chose to resign in order to register a sharp protest over President Wilson's refusal to accept his proposal for the establishment of a Federal Reserve force which could favorably supplement an enlarged Regular Army and improved National Guard. 34 This personal sacrifice on the part of a notably courageous Secretary of War served to dramatize the issue of military reform and helped materially to insure Congressional passage of a new and comprehensive National Defense Act in June 1916. The Act not only called for the creation of an Army of the United States to consist of a Regular Army, Volunteer Army, Officer's Reserve Corps, Enlisted Reserve Corps, National Guard while in the service of the United States, and other land forces authorized by law, but also permitted an increase in the strength of the Regular Army up to a total of 175,000 by means of annual increments extending over the next five years. Meanwhile, on 9 March 1916, Newton D. Baker was appointed the new Secretary of War. Although possessed of a strong pacifist background and, like Secretary Elihu Root, without any previous experience in military matters, Baker was destined to be regarded as one of the truly great American Secretaries of War. This seems all the more noteworthy because, during a lengthy term of office, from 9 March 1916 to 4 March 1921, his extraordinary talents were constantly taxed to the utmost by the terrific demands of World War I and its complicated aftermath. When he first assumed office, for example, he was immediately faced with the tremendous task of revitalizing a newly-created Army of the United States under legislative authority granted to him by an untried National Defense Act that had been optimistically designed to mature over a lengthy period of five years. Actually, of course, it was to be less than one year before the war clouds descended upon the country in full force. The National Defense Act of 1916 did represent a forward advance of major proportions for providing the War Department with badly needed legislative assistance in solving some of its more important national defense problems but it also included several unfavorable stipulations which were pointedly aimed at the Army General Staff. Unfortunately, these same stipulations could only serve to handicap the proper execution of the Act itself. One of them, for example, specified that not more than half of the officers detailed to the General Staff Corps "could be at any time station or assigned to or employed upon any duty in or near the District of Columbia." Although the Act also granted an increase of 18 officers for the General Staff Corps, this expansion was scheduled to come in annual increments extending over a five-year period.